Rudy joined CPS Energy, the nation’s largest municipally-owned electric and gas utility, in 2012 as Vice President of External Relations. In 2016, he was promoted to Senior Vice President of Distribution Services & Operations and is currently responsible for the largest operating division at CPS Energy, with four Service Districts responsible for our maintenance and construction activity as well as the Emergency Management Center which operates our distribution system serving over one million customers on a daily basis. Before arriving at CPS Energy, Rudy served in a number of executive leadership roles. Prior to his current opportunity, he served as Assistant City Manager of Business Support Services and Director of Intergovernmental Relations for the City of Corpus Christi over a 5 year period. In addition, he served the largest utility in Texas, TXU Corp., in the Dallas/Ft. Worth metroplex for 13 years, working in various operational, engineering, regulatory, and public affairs capacities. In 2004, he was promoted to Director of State Affairs, responsible for managing TXU’s Austin legislative affairs office in directing its advocacy efforts before the Texas Legislature. With more than 20 years of experience in the energy and utility sector, Rudy maintains a strong understanding of the utility industry. As a result, Rudy was named one of the 10 most influential Latinos in the energy industry by Latino Leaders magazine in 2014 and again in 2017. Rudy is a 1996 graduate of the University of Texas at Austin earning his Bachelor of Science in Electrical Engineering. In 2004, he also successfully completed his MBA at the University of North Texas. 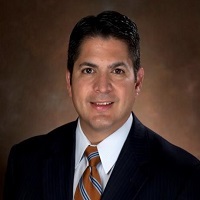 Rudy continues to provide service to the community through multiple board positions, including immediate past chairs of the both the South San Antonio Chamber of Commerce and Workforce Solutions Alamo, the board of the Texas Senate Hispanic Research Council, and advisory boards of the University of Texas College of Engineering and the School of Electrical Engineering. previous post: Emily M. Dickens, J.D.